They are the forgotten ones: John Mayberry, Al Woods, Otto Velez, Cliff Johnson & Jorge Orta. 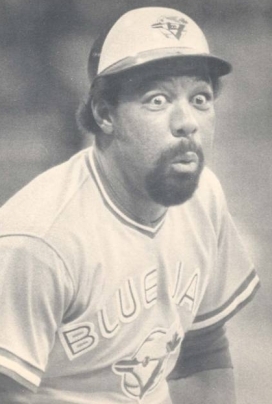 In the Blue Jays’ formative years, they were the heart of an anemic lineup and carried the Jays offense on their shoulders. 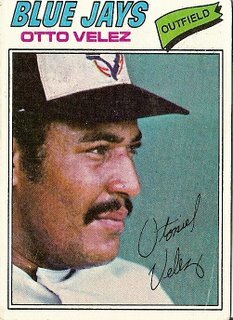 In 1980 DH Otto “The Swatto” Velez, LF Al Woods and 1B John Mayberry combined for 65 HR, 52% of the team’s total output. Otto the Swatto was picked up off the scrap heap in the 1976 expansion draft, the 53rd player selected. 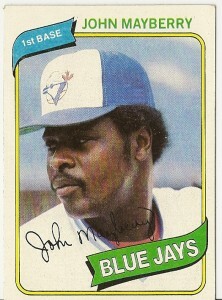 In 1978, the Blue Jays straight up purchased John Mayberry from the Kansas City Royals after an off- year. Al Woods was also a product of the expansion draft, taken 15th overall from the Minnesota Twins. This was an offense truly built on a shoestring budget. 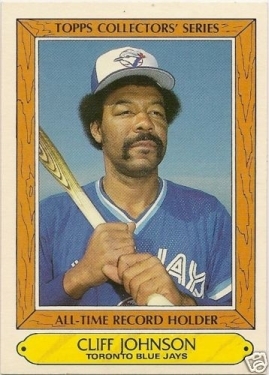 In 1983, when Al Woods was showing signs of a decline, he was traded to Oakland for Cliff Johnson who, like when Mayberry was acquired, had just finished an off-year by his standards. 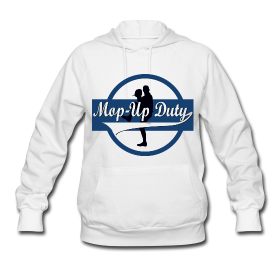 Johnson struggled mightily against right-handed pitching over the course of his career. Recognizing this fact, Pat Gillick acquired Mexican Jorge Orta for a scrub minor leaguer to be his platoon-mate. By putting the two together, Gillick was able to extract 32 HR and 114RBI from the DH position. Cliff Johnson held the major league record for most pinch-hit home runs with 20, until Matt Stairs tied him this year. Below you will find some rare footage of these early heroes of the Toronto Blue Jays. Enjoy!